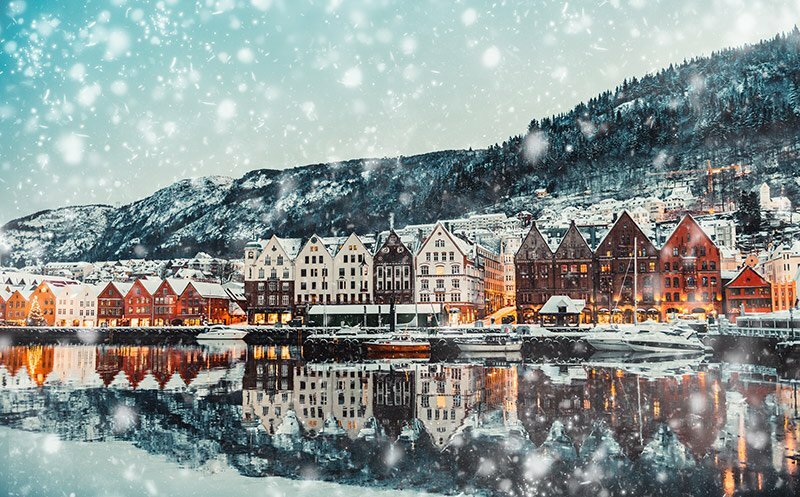 Impress your friends and family with this list of fun facts about the Norway's second city and the gateway to the fjords, Bergen. 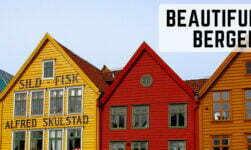 Hordes of tourists visit Bergen every year but how many of them know very much about the city? We've gathered together some facts and trivia that you may not know. Enjoy! Bjørgvin was the original Norse name for the city. In fact in Icelandic and Faroese – two languages that still resemble Old Norse to an extent – the city is still referred to as Björgvin. Around one hundred years ago, a campaign to reintroduce the original name failed. 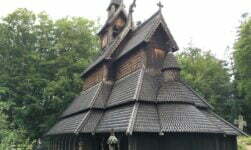 However, the Diocese of Bjørgvin has since adopted the name. But locals argue which seven they are, for the city is surrounded by peaks. It was playwright Ludvig Holberg who gave the city its nickname, after being inspired by the seven hills of Rome. The set used by the local hiking association for its annual seven mountain hike is Lyderhorn, Damsgårdsfjellet, Løvstakken, Ulriken, Fløyen, Rundemannen, and Sandviksfjellet. Arbeiderpartiet (the Norwegian Labour Party) hold 26 of the 67 seats available, well ahead of its nearest rival. Labour Party representative Marte Mjøs Persen holds the office of Mayor. However, at the 2017 General Election, Høyre (the Conservative Party) amassed 31.6% of the vote, more than seven percent higher than the Labour Party. 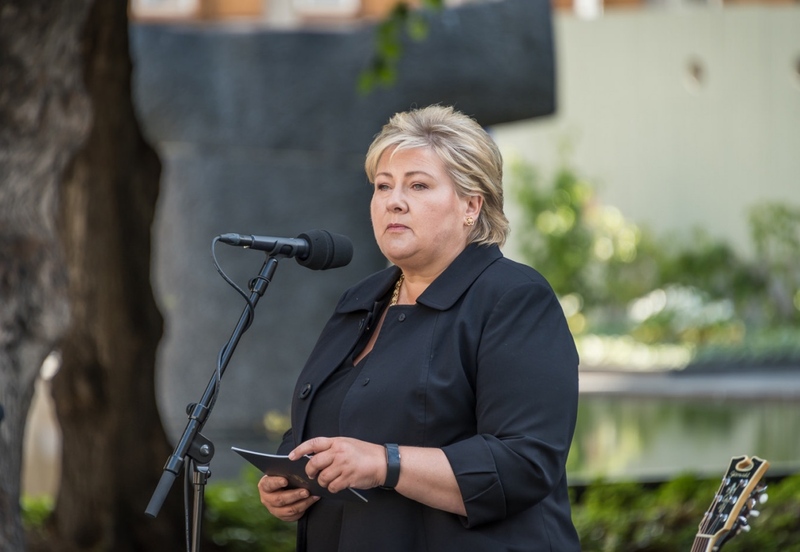 Not only was Erna Solberg born in Bergen, she was educated at the city's university and is a Member of Parliament for Hordaland, the county of which Bergen is the capital. Before entering Parliament in 1989, Solberg was a deputy member of Bergen city council and on the executive committee. She became deputy leader of Høyre in 2002 and party leader two years later, a position she still holds today. 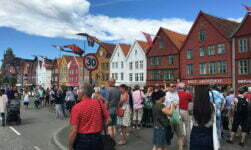 Forget those postcards of Bryggen looking its best in glorious summer sunshine! On average there is some rainfall on 231 days per year. The rainiest months tend to be September and October, although rainfall is possible at any time of the year. The moist Atlantic winds rise over the mountains that surround the city and that causes rainfall. Expect cool summers and mild winters, with temperatures rarely dropping below -10C/14F. Unfortunately Bergensk happens to be the most difficult Norwegian dialect for foreigners and Norwegian learners to understand! 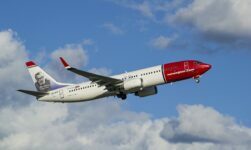 Learning Norwegian in Oslo (or online) and then moving to Bergen has tripped up many people who thought they were fluent. 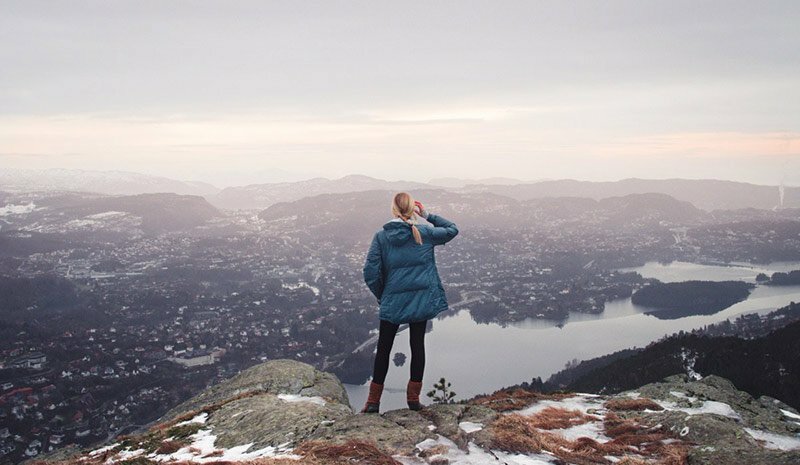 We think the dialect is best described as ‘throaty', something that's especially noticeable with the guttural r sound that's distinct from the rolled r in many other Norwegian dialects. There's also plenty of differences in vocabulary and verb endings. 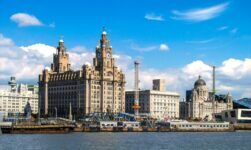 In the latter half of the 19th century, the city had the largest concentration of leprosy patients in Europe. Also known as Hansen's disease (HD), leprosy is an infectious disease that causes severe sores and nerve damage in the arms and legs. Contrary to popular belief the disease does still exist, although available treatment means the number of new cases is relatively low. 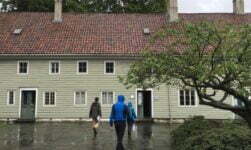 There used to be three hospitals in Bergen dedicated to treating the disease. One of them, St. George's Hospital, is now a leprosy museum. Despite the short opening hours, it is one of the city's more quirky tourist attractions. There was a freak snowstorm and I saw someone skate skiing down the street! So magical!